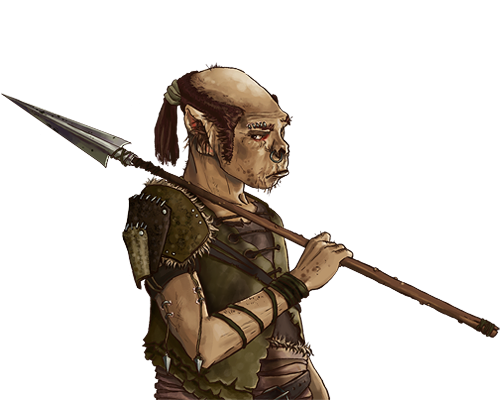 In any litter of orcs, several are born much smaller and weaker than the rest. These runts are called ‘Goblins’ and are looked down on by the rest of their kin. In battle, these are given the most meager of equipment, and are used as a soak-off force to give the Warlords time to prepare the real assault.